Team Japan Defeats Brazil in 7 Innings: 6 – 0. 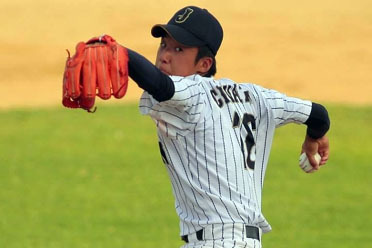 Chiwata pitched 5 scoreless innings. Japan shut out Brazil 6-0 in the evening game in Group E. Taisei Chiwata, Ren Hirashima and Masato Owada combined to issue just seven hits and two walks in nine scoreless innings. Two runs apiece in the first, second and fifth innings provided the run support. Igor Kimura got charged with the loss.